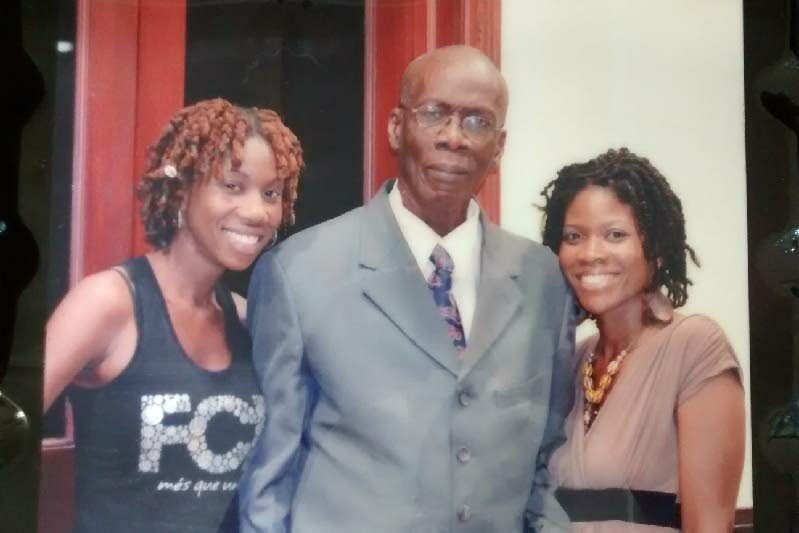 Dr Morgan Job, centre, stands with his two daughters Dzifa (left) and Nzinga. Former Tobago East MP, radio host and author Morgan Job died at the Port of Spain General Hospital yesterday afternoon. He was 76. Job was recently diagnosed with late-stage pancreatic cancer and was given six months to a year to live. His relatives had started a crowdfunding campaign to raise $50,000 for Job's medical expenses: $8,870 had been raised up to news time. Copies of his book “Think Again” and his shorter writings such as "Police Reform and Performance Management: Crime, The Derby Report and History" were also being sold to help raise funds. Job had been taken to Port of Spain General Hospital on Wednesday night for a bacterial infection and according to his daughter Dzifa Job, he was in high spirits. Dzifa Job in a statement yesterday said: "We would like to thank everyone for their support and their prayers. We ask that you give us some time to grieve privately." She said for those persons who wish to continue supporting her father's work in the future they can contact her at dzifanjob@gmail.com. She said the family will provide details on funeral arrangements in due course. Former prime minister Basdeo Panday told Newsday in a telephone interview he wanted to extend to the Job family his deepest sympathy and condolences. Panday said he worked with Job for awhile in Parliament and always got the impression he was not interested in politics at that level but interested in idea and getting those ideas out. "He spent most of his time and energy doing that and he was fairly good at it. I think the country will miss him." He said Job may have thought he had to be controversial to get his ideas across, which probably militated against his ambition. Panday recalled the last time he was at the airport he met Job and purchased one of his books. Former minister and Chaguans West MP Jack Warner had previously reached out to Job’s family to help with purchasing his medication. Reply to "Dr Morgan Job dies at hospital"